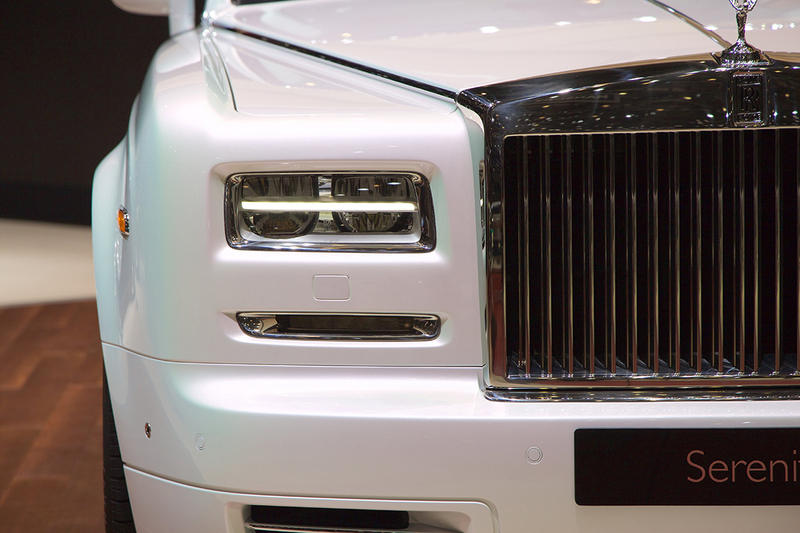 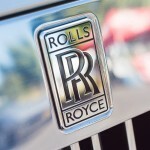 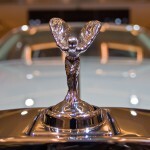 Cinderella had a horse and carriage, Princess Jasmine had a magic carpet; you get a Rolls Royce! 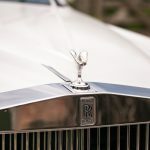 What fairy tale wedding would be complete without the bride arriving in the grace and class of a white Rolls Royce Phantom, a truly artistic expression of a fine luxury motorcar? 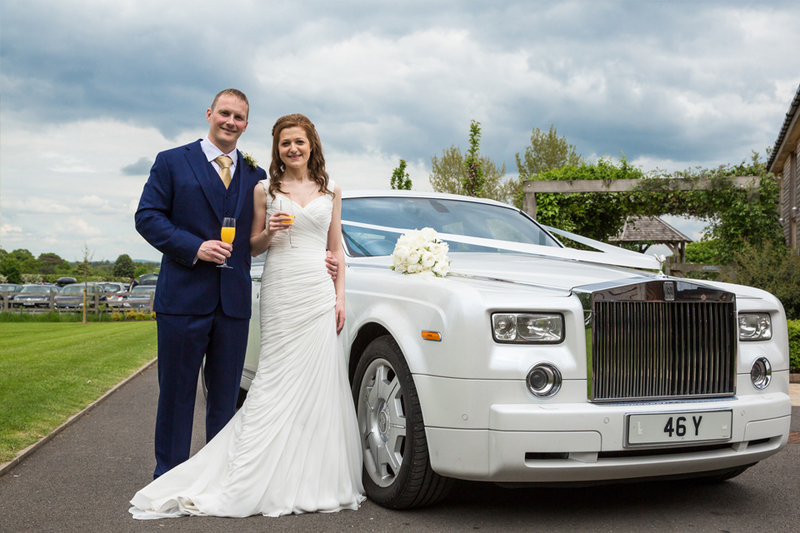 Your wedding is special; it took many months of planning to get it just right. 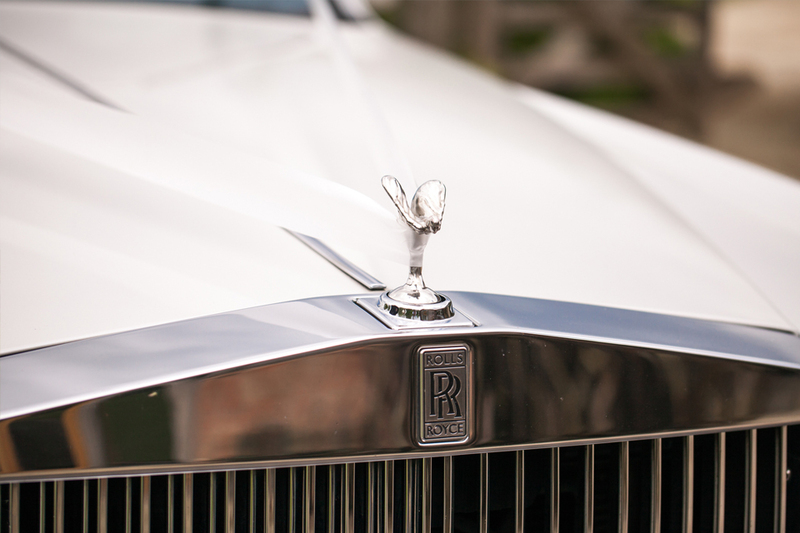 Make sure your arrival is just as elegant as the ceremony itself with our White Rolls Royce Phantom Wedding Package. 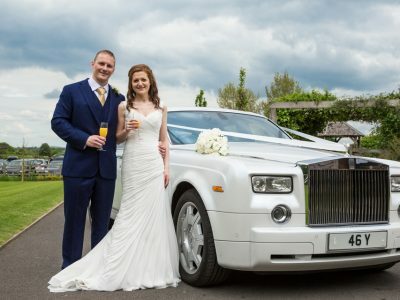 Leicester Executive Chauffeurs offers our full-featured White Rolls Royce Phantom Wedding Package to our customers for below £600 maximum booking, starting at 2 hours with the option of additional hours at a rate of £50 per hour. 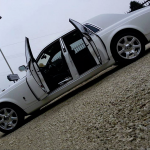 Our Rolls Royce Phantom comes complete with bonnet ribbons and bows and includes an exclusive photo opportunity with the car and a generous 30 mile total distance allowance. 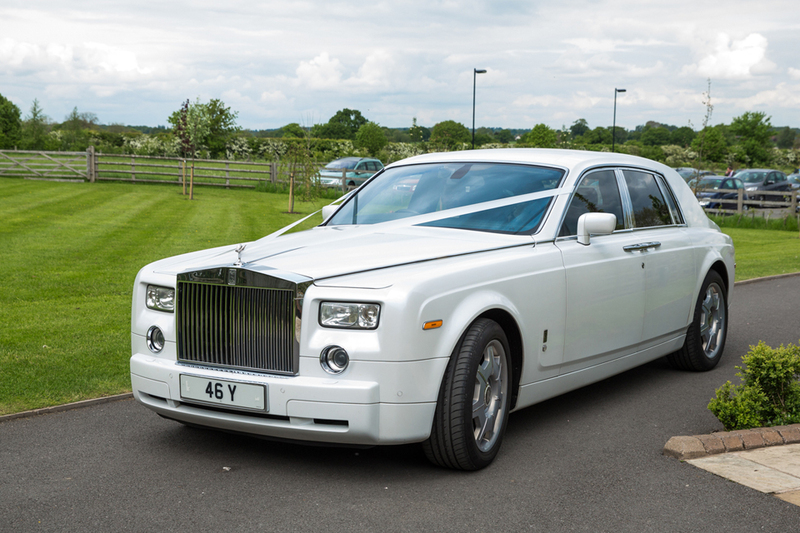 Impeccably maintained and professionally valeted, our Rolls Royce Phantom will pick you up and deliver you to your wedding venue on time and in style, making sure your arrival is timeless and elegant. 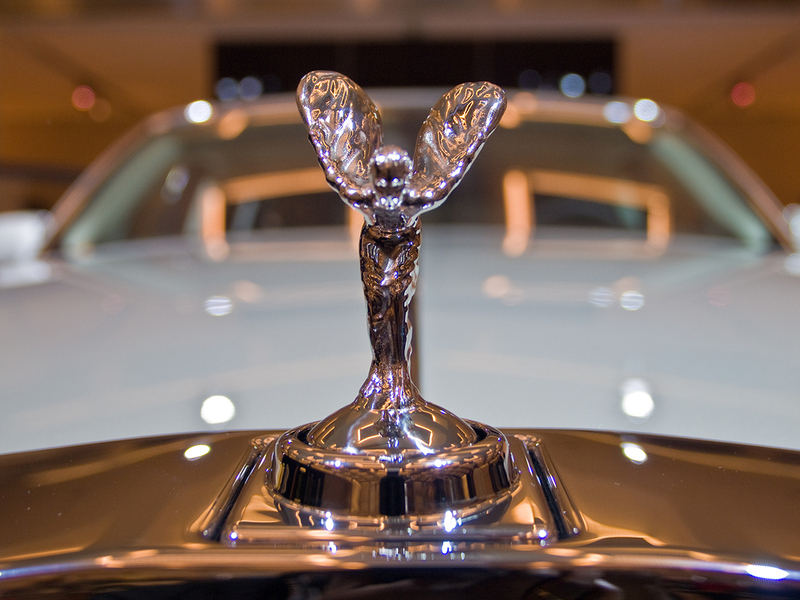 When you need to arrive in style, contact Leicester Executive Chauffeurs our door to door service will get you there on time. 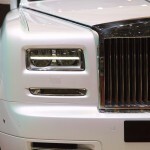 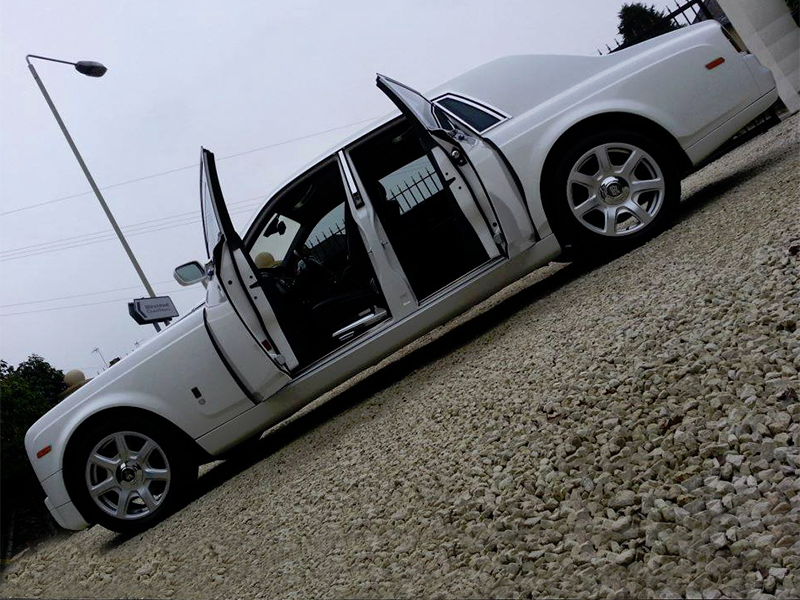 White Rolls Royce Phantom – fully valeted with bonnet ribbon fitted (customer can supply ribbon of their choice). 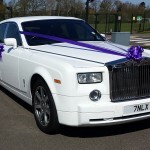 Pick up from address of Bride to marriage venue (Church /other location) and photo opportunity with the car. 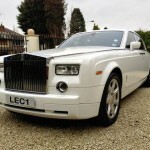 Pick up or drop off anywhere in Leicester and a maximum 2 hours hire. 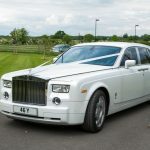 All of above but with total distance 30 miles allowance and maximum pick up 2 hours and drop off 1 hour anywhere in Leicester. 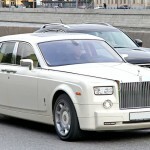 All of above but vehicle will stay at the venue for 10 hours including multiple destinations anywhere in Leicester. 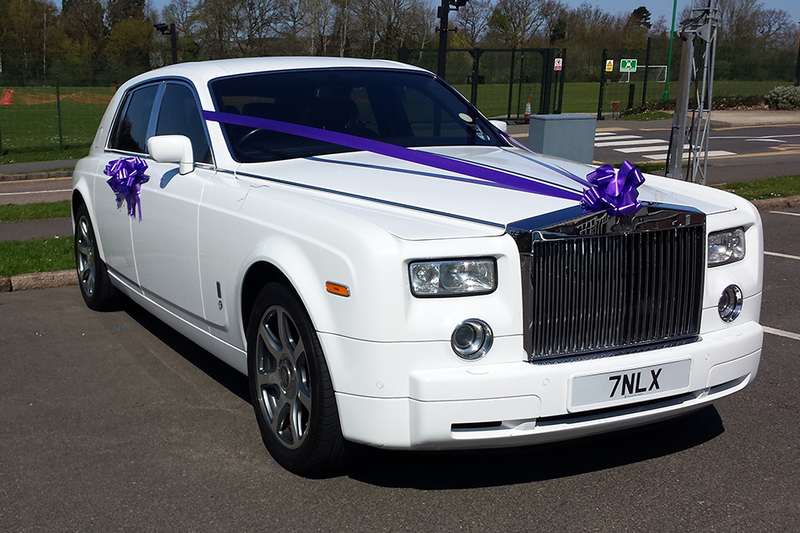 Rolls Royce Phantom – fully valeted with bonnet ribbon fitted (customer to supply ribbon of their choice). 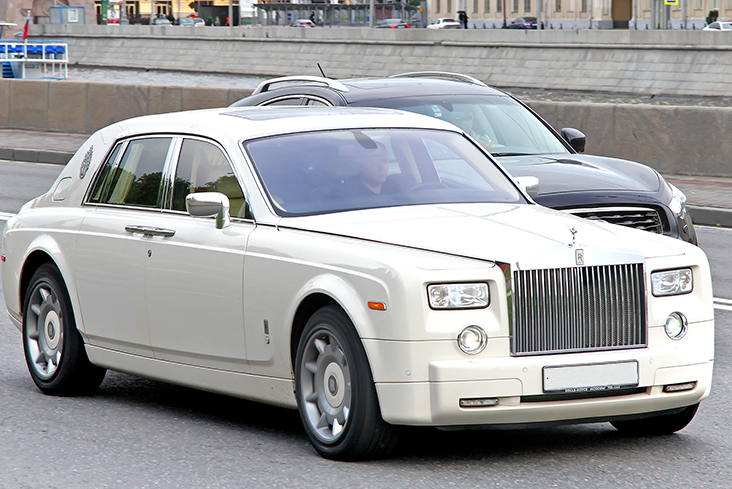 Pick up from address of bride to marriage venue (Church /other location). 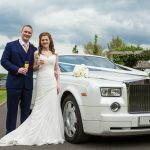 Wait at the location and then transport Bride and Groom to reception or other location. 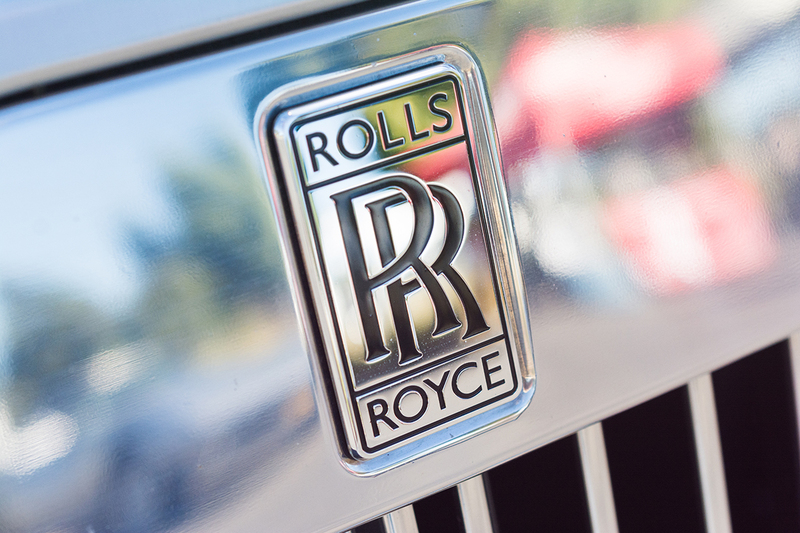 A photo opportunity with the car. 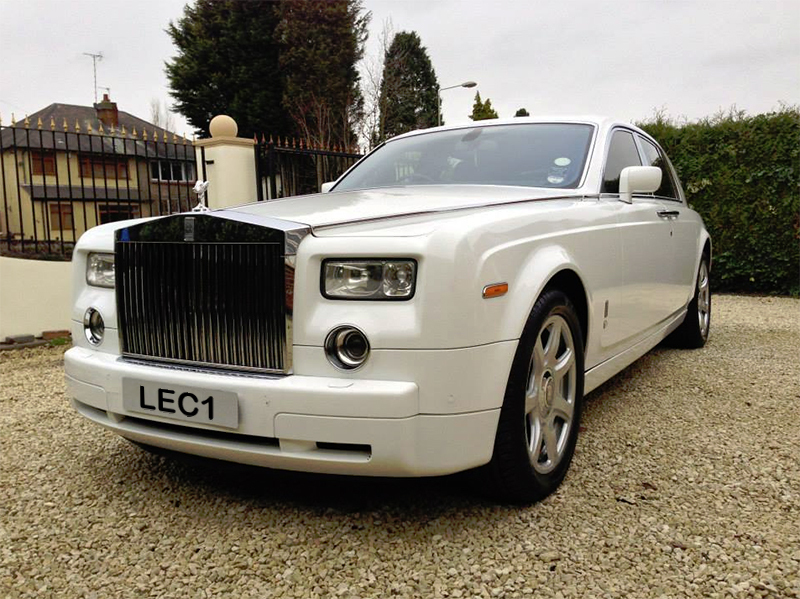 Pick up and drop off anywhere in Leicester including multiple destinations/vehicle will remain at venue maximum 12 hours hire.